First birthdays are always the sweetest! 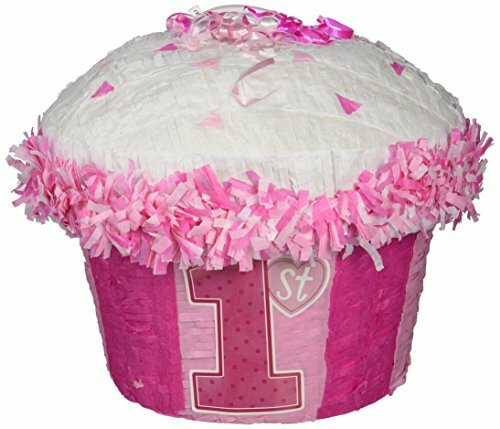 Our delightful 1st Cupcake Pink Pull String Pinata is easy to use, measures approximately 11 1/2 x 12 1/2in and features 20 pink and white ribbons for pulling. Fill with treats of choice (not included) such as wrapped candies or small soft toys, and hang from a sturdy support with a strong rope. Guests take turns pulling ribbons until one ribbon opens the hidden door and releases the goodies. Our pull string pinata is a fun and safe alternative to traditional pinatas. 1st Cupcake Pinata holds about 2lbs of candy.